It’s happening these days that your child may be involved in cyberbullying. A child may bully online and also has possible chances, cyber buying others or witness of online bullying. 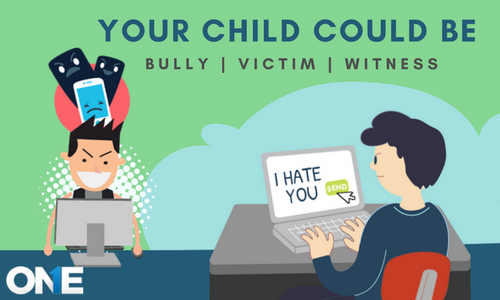 In short, your kid could be a victim of the online predator, behaving as the online predator or might be possible that your child is the witness of un-ethical activity of cyberbullying. Parents in the home, teachers at school and colleges may not be aware of all the digital technological creatures such as cell phones of androids, iOS and blackberries and many other forms of technology such as tablets and Pads and contemporary social networking apps they are using. The more modern devices or gadgets and digital media platforms kids and teen are using connected to the internet, the more opportunities they have exposed to potential cyberbullying. Parents can come to the point that their kids and teens are cyberbullied because of child use of mobile phones having internet access on it. However, there are plenty of warning signs for parents that your child is using social instant messenger like Facebook, Snapchat, and has involved in cyberbullying and bullied other young fellows online. However, parents either are ready to now or not but, believe it or not, your child could be an online bully. The sudden increase or decrease in the use of cell phones, and include text messages. Your kids and teens may have got emotional responses such as laughter, anger, in stress, depression and seems quite upset. Your child may try to hide their smartphone screen when parents are around or near, and prevent discussion about the activities they are doing on their gadgets. The old social media accounts of different social apps such as Facebook, Tinder, Yahoo, Whatsapp, Snapchat, and others are shut down and they have created new instant messengers account. A victim child doesn’t take interest anymore in social situations that he/she more likely to take part in the past. The sudden rift in the mod and seems withdrawn or depressed or don’t want to have fun with the peers and in extracurricular activities. Further, your children also start declining in school grades. “I strongly believe that there is space for prejudice or discrimination in a society, and the compassion, inclusion, and tolerance are fundamental rights for all”, Lord Rumi Verjee said. 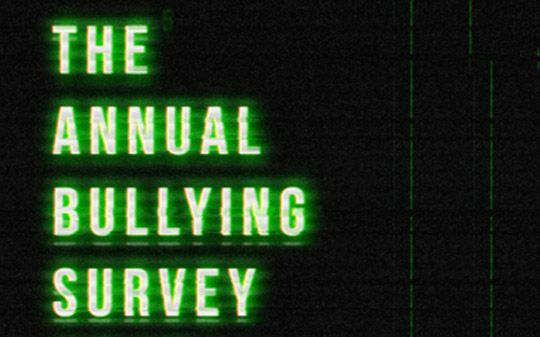 Over the few years, the cyberbullying is a worldwide social issue that has hit the world by storm and has spread devastating impacts on the lives of young kids and teens. The rapid expansion of “traditional offline bullying, cyberbullying has seriously damaged the health, psyche and undermine the wellbeing especially who are subjected to it. Let’s explore it how it is happening and who are the potential victims. 34% of users have faced abusive comments on their photos shared online. Why Don’t They Report to Anybody About Cyberbullying? Bullying is everywhere in schools and colleges and young kids and teens are always been a first and foremost target of bullies and now it has spread on the cyberspace as well. I don’t know where the child human rights have existed or not and what progress and challenges for children worldwide has been made. A human below the age of eighteen consider as the child and there are plenty of rights have been introduced all over the world. Apart from a child that is the victim of online bullying, a kid may be a witness to online bullying. But what can young kids and teens do when they are the witness of cyber bullying. Parents are the ones who should take care of their kids and teens especially when they are using cell phones and internet. Somehow parents have come to know that your child may be involved in cyber bullying, then you need to take action or investigate your child online behavior. However, if your kids and teens are the victims of the online predator such as online bullies or they have witnessed of online bullying, and then parents should adopt and teach their kids following mentioned tips to prevent teens from bullying online or to be a cyber-bully. Notice –Parents should investigate the mod changes of their kids and teens and need to explore the reason behind it. Talk –ask your children about the cyber bullying, if they have experienced and ask how it gets started with them. Document – tell your kids and teens about the online predator such as online bullies and tell them to document the activity or take screenshots of all the things they have experienced from the cyber predator. Report –guide your kids and teens if parents are tech-savvy how to deal with the cyber bullies and report the activity of the particular social media platform. Support –teach your kids to don’t apart from any online bullying activity and don’t ever try to humiliate anyone online. Further, don’t support if someone has done the activity that is been shared to hut someone online. How to Prevent Cyberbullying or Stop Kids to be a Bully Online? Your kids and teens don’t have to go through to cyber bullies and to be the online predator. You can get help the world-renowned anti-bullying spyware that has known for over the years TheOneSpy cell phone spy software. Then parents need to install mobile phone spy app remotely on their kids and teens phone. All you need to do is to visit the official website of the cell phone surveillance software. Now you need to subscribe to it and you will get the passcode and ID. Install it on your target cell phone and once you have done with it properly. Then activate it on your target gadget of Android, iOS, and blackberries. Use the credentials and get access to the online control panel of the mobile phone tracking app. However, you are free to install TOS dashboard to prevent back and forth use of passcode and ID to get access to the online control panel. Once you have the access you can monitor your kids and teens each and every single activity they are supposed to do in the digital world. Parents can get to know about their kids and teens that either they are the cyber bully, cyberbullied or witness that their friends are being bullied online. Parents can use IM’s social media of the parental control software. It empowers parents to view IM’s logs, chat conversations, shared multimedia such as photos, videos, slangs, stickers and voice messages. Furthermore, parents can remotely control the kids and teens cell phone device that can prevent cyber bullies, or kids bullying other. It empowers users to view all the installed apps, block text messages of bullies remotely, incoming calls from strangers and last but not the least block internet access to stop the activities of kids on social networking apps activities. If you have seen mode swings of your kid and you have suspicions that someone has bullied your kid in real life or digital world and he/she is no longer to remain social and often disappear from the home. You can track the location of your child with GPS location tracker. Parents can track a current and exact location of the children and can view the location history and can set their monitoring preferences. Parents can read all the text messages they sent and received on the mobile phone with text messages spy of the cell phone spying software. It enables parents to track iMessages, SMS, MMS, and others. Sometime your teens may have got wrong calls and someone is trying to harass your teens on phone calls. You can record and listen to the calls as proof to take an action against the culprit with secret call recorder of the phone surveillance app. Parents can also make documented proof of kids and teens activities on social media with the help live screen recording of the cell phone monitoring app. It allows a user to do the live screen recording of all the trendy social media apps such as Facebook live screen recording, WhatsApp live screen recording, and others. It empowers the user to make short videos of the screen when social media apps are running on the target phone screen. Your child may be the victim of real life-bullying at school and don’t go the school, then you can use TOS spy 360 live surround listening to listen and record the surround voices on the phone in real-time. However, you can use spy 360 live camera streaming and can hack the cameras of the cell phone and can view live visuals of the surroundings of your kids when at school to investigate the whole situation. The fast expansion of traditional offline bullying and cyberbullying has undoubtedly impacted the health, psyche and undermine the well-being of youth and they have got un-ethical norms such as to be a cyber-bully. 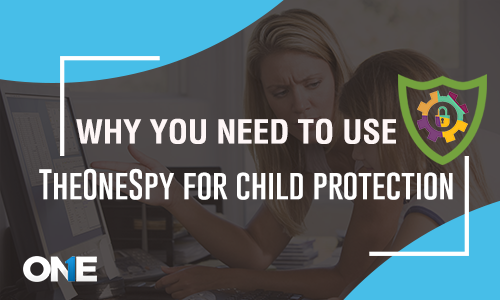 Parents can protect their kids and teens from bullying online and stop their children to be the online predator with the help of TheOneSpy parental control app. In last MUST WATCH VIDEO – PUBLIC SERVICE MESSAGE by MENTAL HEALTH AMERICA OF NORTHEAST FLORIDA.